With the Philadelphia 76ers reportedly gauging the trade market for Nerlens Noel, the Chicago Bulls may find themselves a backup plan in case Pau Gasol and Joakim Noah joins another team in free agency, although it could be at the expense of the team's injury-prone star point guard. The 76ers have are open to the possibility of trading Noel, according to ESPN's Marc Stein and Chad Ford, alerting teams like the Bulls, who are in dire need of frontcourt help. The Bulls have two key free agents in Gasol and Noah heading into the summer market. Following a disappointing season that saw Chicago miss the playoffs for the first time in seven years, both players, who are essential part the Bulls' defense in the past two seasons, are likely to join another team in July. 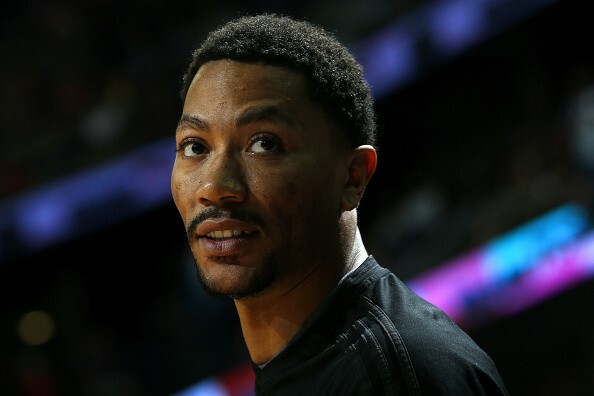 As backup to what has been the obvious expectation, the Bulls could package a trade involving Derrick Rose for the services of the 22-year-old Noel, according to a report from Bulls fan site Chicago Now. In the proposed trade scenario, the Bulls would send Rose, Taj Gibson, Mike Dunleavy and the No. 14 pick in the draft for Noel alone. The move would free up an extra $30 million in cap space for the Bulls, giving them more leverage to pursue top free agents this summer. As for the 76ers, they would get Rose and veteran players in Gibson and Dunleavy to lead the team's young core of talents. "The Bulls can not only offer Rose, they also have veterans Taj Gibson and Mike Dunleavy to offer in a trade - and the two of them are probably as good or better than any veterans they could sign as free agents. The Sixers have at least $60 million in cap space, enough to absorb all three contracts and still have more than $30 million available," the report disclosed. Noel should be able to instantly improve the Bulls' interior defense and become Chicago's starting center as part of the team's semi-rebuild in the offseason. With averages of 11.1 points per game, the 2013 first round pick can also contribute on the offensive end. On the other hand, Rose would give the 76ers a star point guard the team has been looking for. The former NBA MVP could still be a backcourt weapon, although that could only be the case if Rose can remain healthy in an entire season. With Jimmy Butler emerging as the Bulls' star, there is a growing sense Chicago would entertain a deal for Rose, especially if it would mean the chance to become legit contenders again. Moreover, the 27-year-old Rose has already been looking toward his 2017 free agency prior to the start of the 2015-2016 season, making it easier for the Bulls to turn him into a trade asset. Whether the Bulls have interest in trading for Noel remains to be seen, but with the team only projected to have a max cap space of $16.3 million for the offseason, exploring the trade market seems the team's only chance to improve their roster.